In a newly released trailer for Season 12 of Keeping Up with the Kardashians, rumors of the return of Rob Kardashian as well as Lamar Odom, estranged husband of Khloé Kardashian, are confirmed, surprising many devoted fans who have been following the many stories of Rob’s self-imposed seclusion as well as Odom’s brush with death just last year. Odom’s first public appearance was just two months ago, when he accompanied Khloé to Kanye West’s Yeezy Season 3 Fashion Week show in New York City. Others in attendance observed the pair’s closeness as well as the fact that Odom appeared in good health, despite the challenges of last year’s recovery from his near-fatal overdose at a Nevada brothel. And as if Odom’s return wasn’t bringing enough drama to the Kardashians, Rob is also seen in the trailer, sharing an uncomfortable embrace with his mother, Kris Jenner, immediately followed by Khloé declaring, “I feel like this is the year of fun. F-U-N.” I am puzzled by this concept, considering the amount of turmoil surrounding Rob’s relationship with Blac Chyna, which Khloé has vocally opposed, but perhaps she is just happy to not be a widow after what happened with Odom at the end of last year. These episodes were filmed before the engagement of Rob and Blac Chyna, of course, so perhaps the fun ends at some point later in the season. Kris Jenner knows how to run an entertainment empire, and the circus also known as Keeping Up with the Kardashians will undoubtedly have viewers glued to their television screens for a chance to watch all of the sisters, the brother, the boyfriends, the husbands and yes, Caitlyn Jenner, who assures viewers that she will appear in the upcoming season. 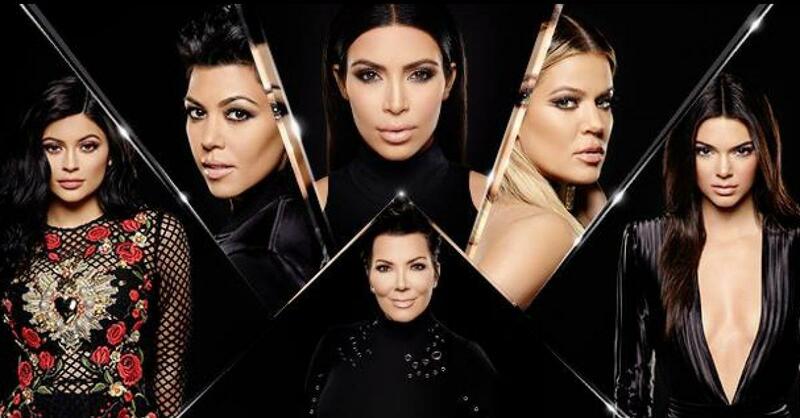 Keeping Up with the Kardashians Season 12 premieres May 1 at 10/9c on E! Do you think it’s a good idea for Rob Kardashian and Lamar Odom to appear on KUWTK?